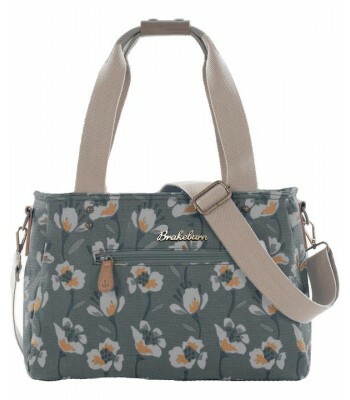 From Brakeburn, large multi-purpose shoulder bag featuring Brakeburn's floral pattern on coated canvas. Fully lined with uncoated cotton. Also, carry handles and a detachable cross-body strap. Spacious main comaprtment with additional inner-pocket, phone-pocket and zip-closure. Dimensions: L: 35cms / W: 23cms / D: 12cms.